EDSNA offers support groups in Edmonton, Calgary and online, throughout the year. Thanks to funding from the Ministry of Health, Addiction and Mental Health Branch, EDSNA is able to provide these low-cost support groups throughout the year for people both directly and indirectly affected by eating disorders. Our groups are professionally facilitated and open to people with ANY type of eating disorder over the age of 18. We don’t require a diagnosis or referral and registration is through our website. Effective. An independent evaluation of the impact of our groups by two graduate students from the University of Calgary demonstrated participants report increased feelings of hope, connection and empowerment, with decreasing levels of shame, stigma and isolation. Support groups are not intended to take the place of professional treatment. Read below for more details on the difference between support and treatment. Very affordable. The fee can be waived if there is financial hardship by emailing info@EDSNA.ca. All participants need to agree and adhere to the participant guidelines, found below. If any of the situations outlined above becomes apparent, information will be provided to the appropriate authorities. EDSNA tries to create an environment that respects differences of all kinds. People who come here are asked to demonstrate this respect to the best of their abilities. EDSNA is committed to providing an environment free of harassment and discrimination. EDSNA groups are established to empower, support, and inform recovery. We all commit to supporting one another, to the best of our ability, to find recovery, health and balance. Consumption of food is not allowed during group programming. You are more than welcome to bring your own non alcoholic beverages. EDSNA supports a non-dieting philosophy. To create a safe place for those who are struggling with eating disorders, we ask that participants refrain from talking about dieting, weight loss or weight gain, numbers or calories. Programs have limited enrollment in order to ensure maximum benefit of all participants. If you do not think that you are ready or cannot attend the full session, please consider registering in a subsequent session. Our facilitators are professionals with extensive training and experience in helping individuals deal with eating disorders. The facilitator is the group leader and responsible for the group as a whole. They are to be treated with respect at all times. In order to protect the confidentiality of others in the group and in order to ensure that groups run without interruption, we ask that you turn off all electronic devices during programs.Taking photographs and/ or video or audio recording during groups is not allowed. I have read the Guidelines for Participation and agree to be bound by them. It is my sole responsibility to consult my physician to determine whether I have any restrictions which would limit my use of the support offered by EDSNA. I acknowledge that EDSNA is not offering or authorized to provide treatment. I will assume responsibility for my own physical and emotional health at all times while participating in the support group. I will be respectful of the privacy and rights of other participants of EDSNA programming. I am confirming that I have read the terms outlined above and that I will conduct myself according to them. A validating group experience, rooted in the belief that everyone has the wisdom to determine the best route for themselves to recovery. It is a place of mutual respect, open communication and safety. It is a place where judgement is suspended and people are free to ask questions, vent frustrations or fears, explore answers for themselves and solace. It is a place where the participant is surrounded by people who ‘get it’ and the facilitator plays an important role but is not the only teacher in the room. No records are kept. All participants agree to abide by the rules of the group including confidentiality. EDSNA provides support, not treatment or therapy. Participants can expect information, coping strategies and peer support. The focus is on meeting the general needs of the group. Confidentiality is sacred and information obtained about group members stays within the group. Please note: For the sake of simplicity, only the starting dates for groups are indicated. Please click on links for full details and/or to register. These groups are divided into “People with Eating Disorders” and “Parents, Partners and Loved Ones”. Both online and in-person support groups are available – please be aware of the city offering each group. Each group runs for 6, 7, or 8 weeks, one evening a week, for two hours. We also occasionally offer weekend workshops on a specific topic. If you cancel with a minimum of 30 days’ notice, you will receive a full refund. If you cancel with a minimum of 2 weeks’ notice, you will receive a refund equal to half the registration fee. If you cancel with less than 2 weeks’ notice, you will not receive a refund. Michelle is a Registered Psychologist practicing in Edmonton. She has a Ph.D. in Counselling Psychology from the University of Alberta and has professional training and experience working with a diverse range of mental health concerns from a variety of treatment settings. Michelle has spent the last 6 years specializing in an exciting and unique approach to working with individuals, couples, and families struggling with eating disorders called Emotion-Focused Family Therapy (EFFT). Some of her areas of interest include: body image concerns, self-esteem, anxiety, depression, perfectionism, OCD and self-criticism. To learn more about her approach, please visit her site. Katie is a Registered Psychologist with the College of Alberta Psychologists and also holds a Masters of Education degree. She has worked with clients who have experienced eating disorders, sexual assault/abuse (Sexual Assault Centre of Edmonton), addictions and trauma. Katie believes in helping clients grow and flourish through a client-centered framework that emphasizes equality and empowerment. She brings compassion and humour to therapy to create a safe place for all to be heard. Her training background involves areas such as Emotion Focused Family Therapy (EFFT), Emotion Focused Therapy (EFT) for couples, and Hakomi. Click here to learn more about Katie’s approach. Amanda is the owner of Equinox Therapeutic and Consulting Services. 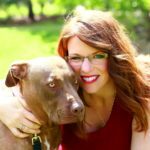 She has her Master’s Degree in Counselling Psychology with a specialization in Equine-Assisted Mental Health, is a Registered Psychologist with the College of Alberta Psychologists, and is also a member in good standing of the Psychologists’ Association of Alberta. Amanda focuses primarily on addictions counselling, eating disorders, trauma therapy, couples counselling, self-harming behaviors, and anxiety/depression counselling. She has specialized training in EMDR (a trauma/PTSD therapy technique), treating trauma and addictions, and Emotionally Focused Therapy (EFT) for Couples. Debra is a Registered Psychologist who specializes in Narrative Therapy, Emotion-Focused Therapy, and EMDR. She works with individuals who struggle with a variety of mental health concerns including eating disorders, trauma, developmental/attachment trauma, PTSD, grief and loss, addictions, anxiety, depression, personality disorders, and problems associated with major life changes. Working with both adolescents and adults, Debra offers Individual Counselling, Couples or Relationship Counselling, and Family Counselling at her practice which is called Healing Minds Psychology. You can learn more, by visiting her site: Healing Minds Psychology. Sara is the Disorder Eating Consultant for Central Alberta. She is also a registered Occupational Therapist with over ten years experience. she is passionate about the area of mental health and believes in empowering clients to achieve their goals. She currently works in hospital and community mental health settings and has diverse skills, training and experience. Patty has been working in the field of mental health with families and individuals for more than 25 years. She has experience in community clinics, schools, and inpatient and outpatient settings. She is a registered social worker and has a master’s degree in health education with a specialization in eating disorders. Presently she works as a mental health therapist for AHS in chronic disease management providing psychosocial assessment and treatment focused on helping patients identify and overcome barriers to achieving their health goals. She also has a private practice in Red Deer providing therapeutic interventions to those struggling with eating disorders, disordered eating, and body image dissatisfaction. She utilizes the evidence based approaches of Cognitive Behavioural Therapy, Acceptance and Commitment Therapy, and the mindfulness based strategies that compliment these therapies so well. She aims to help her clients improve their relationship with body, food and mind by working through issues of internalized weight stigma, formative experiences of body shame and years of damaging messages from diet culture. She thrives on supporting her clients to build self-acceptance through self-compassion. Patty practices through the Health At Every Size® lens which supports the definition that health is much more than physical and must acknowledge the social determinants of health. She advocates that health cannot be determined by looking at a person’s body size, and that all bodies can experience health or ill health regardless of the number on the scale and as such, all bodies are entitled to dignity, respect and compassion. Drop in Group: Wednesday evenings. 6:30-8:30 pm. a registered 9-week program. Visit their website for more details. EDA is a non-diet, non-abstinence 12 step support group for anyone with a desire to recover from disordered eating behaviours. #124 Meadowlark Health and Shopping Center. 156 Street & 87 AvenueWorkshops on Managing Emotional Eating, Minding Stress, Mindful Eating, Healthy Exercise and Weight management. Visit their website, or call 780.443.7477. Free drop in, single session, no appointment necessary. 6 different locations in Edmonton. Open 6 days a week. You don’t need a referral, just walk in! The counselors can help you develop a plan, find solutions and build your path to wellness. A sliding scale is available for those who don’t have insurance. Visit: Suite 200, 9562 82 Avenue, Edmonton, AB. Phone: 780-757-0900. Visit their website for more details. There will be a drop in art therapy class offered April to August. Silver Linings offers an 8-week support group for parents and loved ones coping with the many challenges of caring for someone they love with an eating disorder. They also offer support groups for those directly affected. Peer-to-peer support. Although they don’t offer groups specifically for eating disorders, they do have groups on conditions that often co-exist with eating disorders, such as depression, anxiety, OCD, PTSD and bipolar disorder. Sara Kreklewich is the Disordered Eating Consultant for Central Alberta. Based at the in Red Deer, Sara can provide information, referrals, counselling and other services to those affected by eating disorders. Call at 1-403-340-5466.